When you are looking for a unique twist to add to your event, our photo booth in Edinburgh is the perfect choice. We have been offering our photo booth hire in Edinburgh for many years and this type of feature always goes down a treat with our customers and their guests. We’ll deliver your photo booth to you on the day of your choosing and set everything up so that it is ready to go the moment your guests arrive. They can get snapping away using the props we provide and have some great fun capturing the magic of your event. Our photo booth in Edinburgh is the ideal way to relive your memories over and over again. You won’t believe what goes on in our booth and it is great fun to go over the photos once your event is over. We also have a mirror selfie that allows you and your friends to take some great selfie shots and to share the fun. 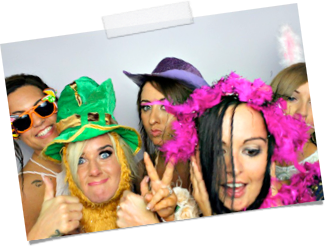 Why not speak to us today to find out more about our photo booth hire and how we can help you to get your party started right. 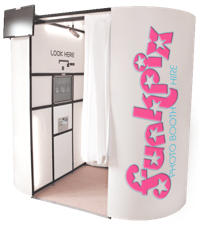 Here at fun k pix photo booth we offer some of the best photo booth hire in Edinburgh and our prices are completely transparent. You can choose to hire your booth for as little as one hour which is perfect for events such as kids parties or charity events. Our photo booths are also perfect for wedding receptions and add a fun twist on candid photos. Simply let your guests loose in the booth and wait for the results at the end of the evening. You can choose to print your photos or share them in digital format. 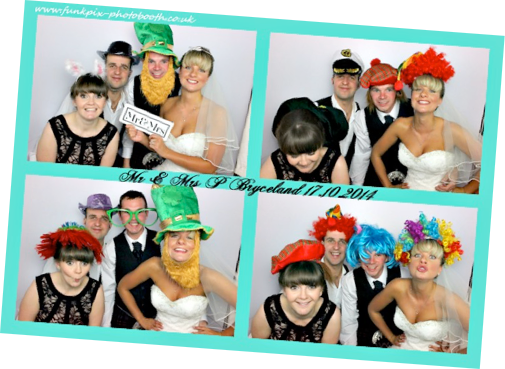 We think you will be absolutely delighted with your photo booth hire in Edinburgh. Our customers tell us what an amazing experience was had by all and are left with some amazing photos to look at time and time again. We would be delighted to answer any questions you may have about your booth and to arrange your booking for you today. From weddings to birthdays and anniversaries to corporate events, our photo booth in Edinburgh is a great addition to the planned entertainment and will snap as many photos as you need.